Of course all Australians will have a different story to tell, so, this is one person's adventure with Australian food. So what do Australians eat? Well the food we eat in Australia has been heavily influenced by, initially our British convict beginnings, the local climate, what was, and is, available locally in terms of game and naturally grown produce and by the various waves of immigration experienced after World War 2. The first Australian convicts ships arrived in Sydney Harbour in 1788. 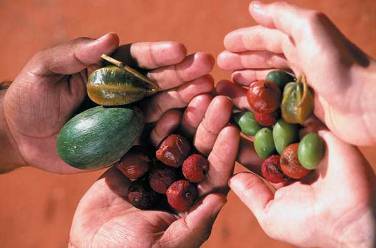 Until that time, the Aboriginal peoples that inhabited Australia were hunter gatherers who lived on local game, the natural produce of fruits, berries and nuts, which later became known as 'bush tucker', and the abundance of sea food available from the ocean. When European settlement began in this country most of the food ideas were obviously derived from the British traditions brought here by those immigrant settlers. There are many stories of the initial difficulties experienced by the early pioneers adjusting to the native fauna and harsh climate. Gradually however they began to acclimatise but still hung onto their traditional fare. Growing up in Australia in the 1950's and 60's, my recollection of Australian food is that it was bland. 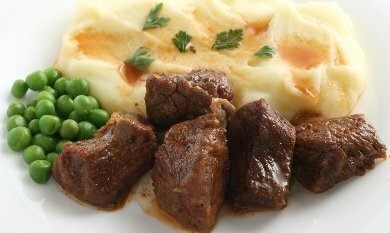 Traditional English and Irish food, lots of lamb (mostly the cheaper cuts), beef, vegetables, like potato, carrots, peas, pumpkin and beetroot with deserts such as custard with bread and butter puddings, rhubarb, dumplings smothered in treacle and rice in milk. (Yes we ate rice as a desert with sugar and milk). It wasn't really until the late 60's and the 70's that the Australian food culture began to change. 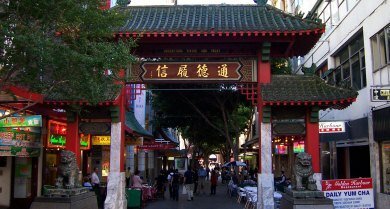 After World War 2 Australian culture began to change when Australia embarked on a massive immigration programme and opened its doors to millions of migrants who came from all parts of the globe including Europe, Asia and the Middle East. They brought with them their own strong and sophisticated food cultures and over the next twenty years began to influence the development of what is now the Australian cuisine. As a kid going to school with 'new' Australians, at first we looked at their food and wondered how on earth they could eat it. 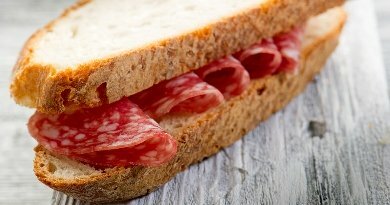 Later, during lunchtimes, we found ourselves swapping our food for their food, a vegemite sandwich for salami with crusty Italian bread or a polish sausage for a cold lamb with 'Rosella' tomato sauce sandwich. By the 70's Australia began to really embrace the changing food, now influenced by the amazing cuisines of China, India, Germany, Greece, Italy, Lebanon, Malaysia, Thailand, and Vietnam. Restaurants featuring these different foods began to pop up everywhere and they were not only popular, but also began to have a great impact on modern Australian cuisine. At the same time, in the 70's, American 'fast food' arrived in the form of Macdonald's, Hungry Jacks (Burger King) Kentucky Fried Chicken (KFC) and Pizza Hut. There were also substantial influences and culinary trends from French, Japanese, Moroccan and Spanish cuisines. Seafood has always been very popular in Australia, and as I write this personal memoir, we're approaching Christmas. It's a great time to be writing about food and in particular seafood, as it has now almost become the traditional Australian Christmas food. 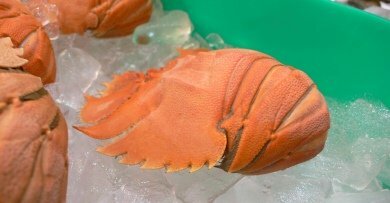 Lobster, prawns and bugs will grace many a Christmas dinner table this year, although there'll still be the even more traditional turkey, chicken, lamb and pork. Now let's mention some of the more local or quirky things about Australian food. Our climate makes BBQ's commonplace. You might even remember the big tourism advertising campaign which featured Paul Hogan as Crocodile Dundee, inviting people to visit Australia and we'd 'throw another shrimp on the barby'. Truth is we don't generally throw a shrimp (we call them prawns) on the barby. It would more likely be a sausage (or snag) or even steak. One of the best known 'unique' foods we love in Australia is Vegemite (now owned by the American Kraft Foods). It's a black coloured spread, very salty in taste, made from brewer's yeast. We start eating it as kids and indeed Australian children are known locally as 'happy little Vegemite's'. You know you're an Aussie if you love Vegemite! At the footy we'll eat a meat pie with tomato sauce, a sausage roll or maybe even a chicko roll. Other popular takeaway foods include fish and chips and now of course a macca's (Macdonald's hamburger). 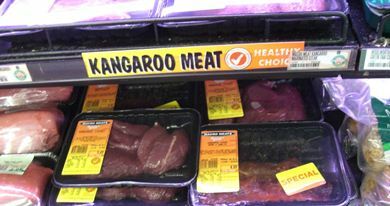 We do eat our national symbol, the kangaroo. In fact during early European settlement, kangaroo meat became an important source of protein and in many cases the only meat available. The Aboriginal inhabitants of Australia feasted on kangaroo for centuries and it formed part of their staple diet. It is available today in various cuts and you can even buy kangaroo sausages. Other unique or local foods include ANZAC biscuits, Lamingtons, Tim Tams, Violet Crumble, Weet-Bix, Pavlova and iced VoVo's. You can check out our Australian Biscuits page and our Australian Desserts page for more great Aussie foods. 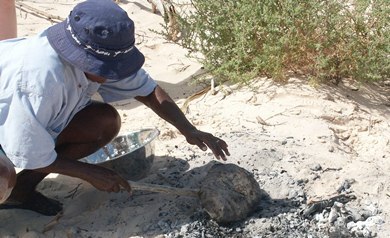 There's also bush tucker of course, fruits, nuts and berries gathered from local natural resources and damper, a traditional bread, prepared on the campfire by 'swaggies', drovers or outback travellers, and enjoyed with billy tea. The wonderful thing about Australian food today is its abundance, freshness, quality and sheer variety. We may have started out with a pretty bland, uninspiring cuisine but as time has gone on, our taste has changed and matured. Now when it comes to Australian food we've become adventurous, colourful, unique and even passionate! Vegemite is uniquely Australian and although there are similar spreads it is mainly sold in Australia and it's fair to say would only be eaten by Australians and some New Zealanders. Breakfast food in our house during my childhood in the remote outback of Australia was plentiful and varied. We had our favourite cereals and we'd look forward to lining up to the table to have a big bowl of them most mornings. 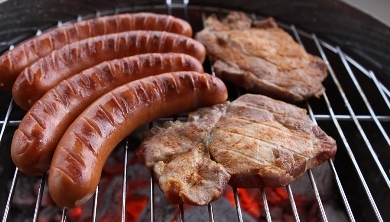 The Australian BBQ is a huge tradition in our culture, we love them. We look forward to our weekend breaks and the great Aussie barbie is such a part of our leisure time. We love our Australian desserts & cakes and because we are such a multi-cultural society we have desserts and cakes from all over the world, but some are uniquely Australian, or are they? Australian biscuits are many and varied much the same as anywhere else really, we do have our favourites and those that have become well known and identifiable as Australian and they're not all biscuits! There are dozens of Australian recipes and wonderful Aussie food to make but we're just going to cover some of our more traditional & iconic ones that we enjoy. Supermarket Wars in Australia have been going on for a few years now. On the surface the cost cutting has meant big savings but there is another side to the story.